The phrase “music technology” may not naturally go with hand percussion or “plywood” for you. But there are plenty of people wanting to jam and play on the streets. So, what’s the big news for them? I think it’s this, frankly. 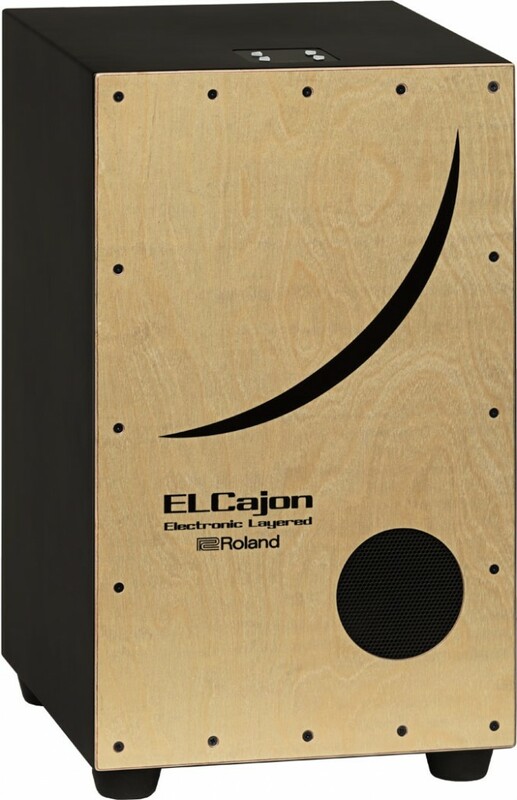 It’s the Roland EC-10 EL Cajon. It weighs just 6 kilograms (under 9 lb). It runs on just six AA batteries. And it could sell you on hand percussion – or be the one hand percussion box you covet this year. But first, let’s back up. The cajon is a Peruvian percussion instrument, originating in the slave trade there and spreading to various forms of Latin music. But Roland isn’t looking to expand heavily in the Peruvian market. The point is that this kind of hand percussion has itself started to grow. Even as more conventional rock instruments have begun to wane, jamming, busking, and mobility in general are growing. The cajon is easier to move around than a drum kit. It’s easier to busk with. It’s easy to pick up – musically as well as physically. What Roland has done is make a good cajon, then make it do more than a cajon normally would. EL Cajon has its own amp, too, so those sounds work with the acoustic sounds. The effect is weirdly natural. It’s a cajon for the one-person band. You get the normal sound of the instrument, but then can rotate through 30 built-in kits, with different sounds based on where you hit (two independent sounds are triggered from the head and edge of the surface). You can 30 built-in kits, and various controls for playing. The other smart thing Roland has done is to partner with Heidi Joubert. She’s just fantastic on the cajon to begin with – the new face of the instrument, with her own line of boxes. So in place of what could have been just another forgettable, embarrassing video, she shows off why the thing is fun and musical. And, from all the way in Western Australia, here’s an explanation of what the whole EL Cajon is about. Just remember, the phrase you’re thinking is “tener cojones,” not “tener cajones.” But after seeing this thing, I’m ready to do the latter.